Review: Changing the 7-inch single dance music landscape with a single stroke, Most Excellent Unlimited's latest collaboration with famed DJ and edit master Danny Krivit is a motherlode of sure shots straight from Mr. K's personal stash. 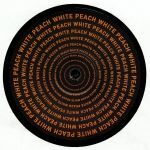 Most of the ten cuts have never appeared on the smaller format and are Krivit's edits exclusive to this release, making the collection an essential addition to any DJs play box and a deep dive into the top-shelf selections of one of the world's most talented dance floor conductors. 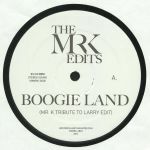 Review: Supreme edits from the one and only Mr K: "Boogie Land" explores the insane P-Funk gold of Ike Strong with full emphasis on the obese walking bassline, gutsy backing vocals and layered riffs, all extended with hypnotic glory. 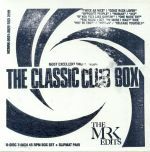 "Lady, Lady, Lady" is a dramatic rearrangement of the instrumental version of Boogie Man Orchestra where the pianos and strings are placed centre stage and squeezed for every ounce of drama and disco theatre. Insanely good. Review: Most Excellent Unltd continues to delve into the reel-to-reel edit archives of Mr K, AKA legendary New York DJ Danny Krivit. This 12" contains two more heavyweight bombs. First up in "Love The Life You Live", a hustling chunk of Blaxploitation era disco-funk from Kool & The Gang that Krivit brilliantly builds into a frenzy of sweaty drunk breaks, relentless horn lines and fuzzy bass guitar. Over on the flip, the native New Yorker takes his scalpel to a little known cover version of Beatles' favourite "Drive My Car", stripping out the vocals to leave heaps of percussion, a killer bassline, rousing horns and hard-wired funk guitars that sound like they've had a few tabs of acid. The resultant edit is a seriously heavy dub-disco treat that bears almost no resemblance to the "Rubber Soul" classic (or the Gary Toms Empire's version that he edited up, for that matter). 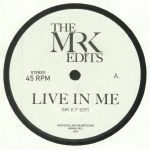 Review: Two powerful edits from the Krivit vaults: "Live In Me" is a beautiful rearrangement of the Rod Temperton and Quincy Jones composed Rufus & Chakka Khan 1979 classic. Warm, touching with just the right amount of urgency, it's often overlooked as didn't enjoy a single release at the time. Flip for an equally stirring take on Pieces Of A Dream's "Warm Weather" and Danny ensures our full focus is firmed on that lavish bass and those purring honeyed vocals. Quintessential rare groove.